Welshmans Nelson investment sees 9967% return…. ….in less than one week, and its not over yet! According to the local paper, the Nelson Mail, Welsh tourist & backpacker Tim Bow likes garage sales. Using the words of the papers reporter, it would seem he even appears to have “a passion” for it. Well it looks like this passion has really paid off for the traveler this time around. Antiques Roadshow would have a simple antipodean believe that in smalltown NZ, only 200 year old Aoteroa, there just aren’t any surprises left to be found? Well this Welshman found one, locally, last weekend. He bought the book as part of a $5 pile of books in the sale, but hoped to sell it for much more. Is he on the right track here? Well..….with still three days still to go on his auction site listing…his $5 investment is sitting there on the Trademe auction site, as of last glance, at a “not too unhealthy bid level” of NZD$1500. Perhaps even, the Enid Blyton society may look “downunder.” As a youngster I read all the books, and absolutely loved them all. Today….all of them put together would probably account for the first half of the first episode of some Xbox/Playstation shoot’em up. But….. back then, they let your imagination do what it was really meant too! Sunday, even apart from this Indian Summer weather we are all finding “most enjoyable”, should be an interesting day. UPDATE 10:15am 27-04-2012 – bidding now at NZD$3260!! I’m thinking everyone will be checking books at yard/garage/boot sales just a little bit more thoroughly now? Lets hope they are genuine bids. UPDATE: 8:16pm 29-04-2012 – seems the gene pool has again been hammered tonight, after it eventuated that the winning bid was reduced to NZD$1510. Perhaps a spell on Ebay may have been worth a hit. UPDATE: 5:45pm 30-03-2012 – seems its all downhill from here. 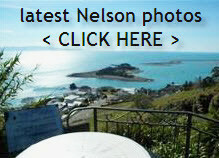 This entry was posted in General, Nelson, New Zealand, Uncategorized and tagged Buyers, education, ex-pats, google, marketing, Nelson, recreation, UK on April 26, 2012 by David Leggott.